In the spirit of year-end traditions, here are the top 10 favorite PBS staff resource picks for 2014. This broad list of compelling resources for every grade represents some of the most popular content in PBS LearningMedia. Find these and 87,000 more videos, lessons and interactives at pbslearningmedia.org. In this PBS LearningMedia collection Daniel Tiger and Mister Rogers videos are thematically paired for some of the most thorough, thoughtful and imaginative educational material for Pre-K learners. With this collection, explore full episodes from a variety of arts and sciences themes as well themes focused around ideas of community, family and social experiences. Many episodes also introduce young viewers to factories, workshops, or renowned performers to broaden the viewer’s understanding of the world around them. Over thirty years ago The Electric Company turned on the power of possibility for kids by showing them that learning to read can be fun. In 2009, the power surged back with the all-new The Electric Company inviting 5 to 9 year old children into a playful, funny and musical world that cleverly puts reading and writing at its heart. The project features comedic storylines, short animations, hip music and celebrities of today. The backbone of the show is vocabulary (including math-related words), phonics and reading comprehension. This innovative environmental education project from WGBH invites elementary students to virtually visit ecosystems around the world—rainforests, deserts, and more—and then to head outdoors to explore their own ecosystems through lesson plans, videos, online games, and hands-on activities. These resources—aligned with the Next Generation Science Standards—immerse students in content topics and science process skills. With this lesson, students examine Abraham Lincoln’s views on slavery and race as they evolved throughout his early life and throughout his presidency. The lesson begins with students examining how aspects of American society and life have changed over the course of their lifetimes, as well as the reasons for change in their own personal lives. Students then review how Lincoln’s stance on slavery shifted over the course of his political career. Through an examination of historical quotations and primary source documents, students learn that the Emancipation Proclamation was the result of a complex and sometimes contradictory interplay of circumstances – some political, some personal, and some societal. This lesson is part of a collection with videos, interactives and lessons created to bring the documentary, Looking for Lincoln, into the classroom. The PBS series addresses many of the controversies surrounding Lincoln – race, equality, religion, politics, and depression – by carefully interpreting evidence from those who knew him and those who study him today. Mission 3 is part of a series of interactive, Choose Your Own Adventure style games. In Mission 3: A Cheyenne Odyssey, players become Little Fox, a Northern Cheyenne boy whose life is changed by the encroachment of white settlers, railroads, and U.S. military expeditions. As buffalo diminish and the U.S. expands westward, players experience the Cheyenne’s persistence through conflict and national transformation. The best part about this game is that each student playing has a unique gameplay experience based on individual choices, skill, and understanding of the period. Student and coaches participating in the 2012 National High School Musical Theater Awards share their experiences of the stage in these video clips. Students can explore how to improve skills as a performer, with this collection of resources from Broadway or Bust. This collection stands out because of the real and relatable contestants that are highlighted. This KQED web video series introduces contemporary artists who discuss their careers and intentions, then demonstrate hands-on techniques or concepts. Art School provides resources for learning how to break dance, draw comic strips, create animations, and much more. This collection is chock full of new ideas for creativity presented by a variety of professional artists. Explore the inspiring musical mission of DJs Pierce Freelon and Stephan Levitin, and their globe-trotting Beat Making Lab. 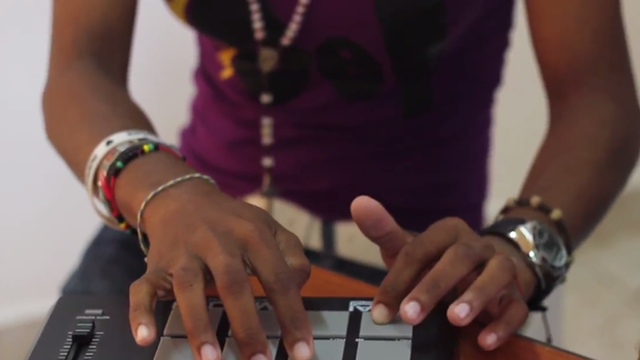 Produced by PBS Digital Studios, the Beat Making Lab travels all around the world sharing their love of electronic music with aspiring artists from developing countries, using this emerging new genre to communicate ideas of culture, health, and artistic expression. Learn about the process of digital music creation, the technology that makes beat-making possible, and the amazing artists who are pioneering the electronic music revolution. What’s inspiring is the Beat Making Lab’s use of electronic music to communicate ideas about history, culture and artistic expression – it’s a wonderful way to engage the minds of youth in a current, compelling way! The Transformative Teachers resources are designed to equip educators with tools and methods for fostering resilience and ethical leadership skills among young people and features videos on teaching empathy, gratitude, forgiveness and self-acceptance. Your students develop core values through art, writing, performing and other activities with the help of this collection. A word of warning, watching students explore these skills may make your eyes water. This year, PBS debuted “How We Got to Know” with Steven Johnson, a documentary series on ideas and innovation. Revisit this archived conversation with Johnson and offer your students an understanding of how simple ideas and inventions – from eyeglasses to refrigerators – have revolutionized the way humans interact with the world! The series is a thought-provoking exploration of the stories behind the ideas and inventions that made the modern world possible.